Happy Wednesday everyone! I hope you are having a good hump day. Today I am sharing an interesting post which I will try to keep from being to lengthy. I have mentioned several times before that I have always wanted to be a teacher. Now don't get me wrong, I have explored many other careers and have found many interesting and considered doing them one day too, but I always found my way back to teaching elementary school one day. When I was in about the fourth grade I became obsessed with the idea of being a teacher. I asked Santa for school supplies that Christmas, and he transformed my room into a classroom. Every day for a straight year, I swear, I would make my sister play school with me after we got home from school (it's no wonder my sister is so smart.. haha). I would teach her about all kinds of things and never let her be the teacher! :) As I grew up I just always said that was what I wanted to be. Things changed once I reached high school, as I struggled with the idea of being a teacher because I hated school so much. After all, aren't teachers supposed to love school? However, I realized during this point of hating school that good teachers are so important. All the teachers I had in high school (except for one) made me loose my passion for learning and ultimately made me want to give up. After I talked to several elementary teachers though, and kept volunteering in classrooms, I realized that I wanted to make a difference and be the kind of teacher that makes kids love learning, like my fourth grade teacher. This is an obvious one. You have to like kids to be a teacher. I have always found myself gravitated to little kids (maybe because part of me still is one). I have more patience with kids than anyone else and it takes a lot for them to get on my nerves. I think kids grow up to fast and I love the idea of encouraging them to just be a kid and use their imagination. Having a possible impact in a child's future sounds scary and awesome at the same time! I want my future students to know they can be ANYTHING if they put their mind to it! This may be the most shallow reason of all, but it's a valid point as a fashion lover :) As a teacher you have a wide variety of styles you can wear. You don't have to wear a uniform, but you also don't have to wear high heels and pencil skirts all day. 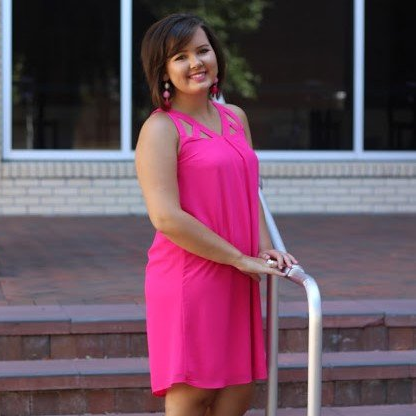 You can dress cute and comfy almost every day! I follow @msleslieann01 on Instagram for cute teacher outfits all the time! Growing up, I have had several friends tell me that my house was a safe place. My mom and dad created a home that was peaceful and safe. I always knew I would be accepted at my home and everyone knew they would be too. I understand though that a good majority of kids don't feel that way about their homes. I would be so honored to create a classroom that could be a child's safe place, regardless of what is going on at home. So there you have it. 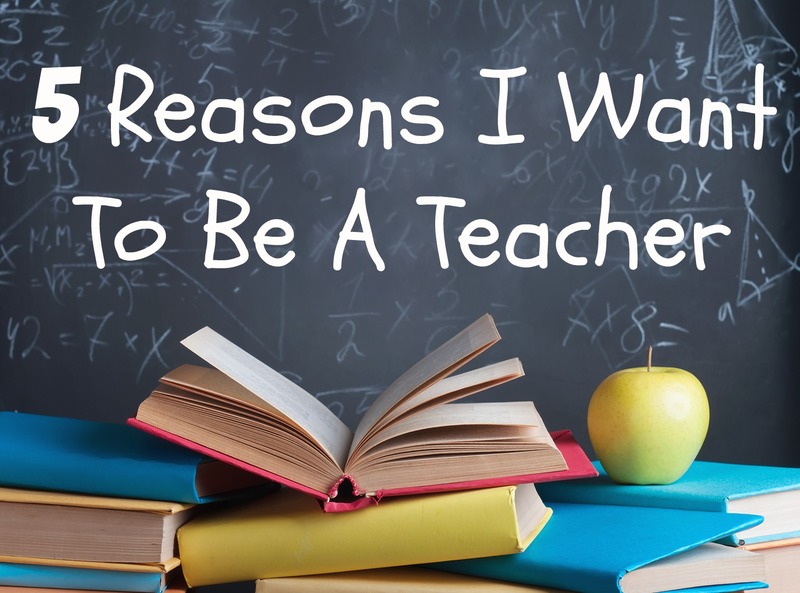 Five reasons I want to be a teacher! I know it will be hard, tiring, and I will often feel under appreciated. I hope however that even during the toughest of times being a teacher, that my love for my students through God will show through each and every day. Have a great rest of your week! What are the 5 reasons you decided to do what you do? Let me know!